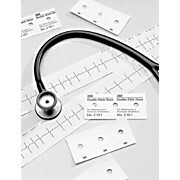 Multi-purpose monitoring electrodes with foam backing and sticky gel are ideally suited for the OR, ER and diagnostic stress testing applications. 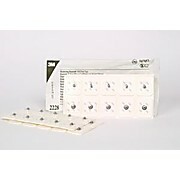 Conveniently packaged in individual strips of ten electrodes for easy use and less waste. Remains fresh for 30 days out of the bag. 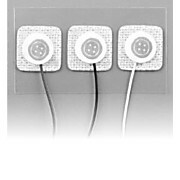 Resting electrodes for 12-lead EKG applications. 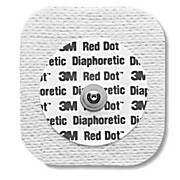 A round-style monitoring electrode with 3M Micropore™ Surgical Tape backing. 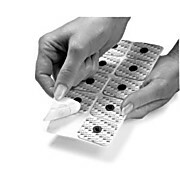 Patented solid gel penetrates the skin quickly allowing high quality. Low chloride content minimizes skin irritation. 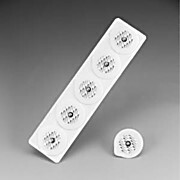 Radiolucent to minimize the need to replace or remove electrodes in most radiological imaging applications. 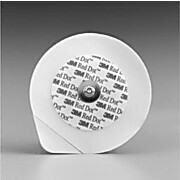 A round-style monitoring electrode with soft cloth backing for general ECG monitoring. Patented solid gel penetrates the skin quickly allowing high quality. Low chloride content minimizes skin irritation. 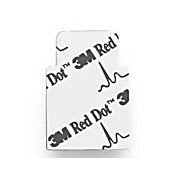 A rectangular-shaped electrode that offers a high-tack adhesive and foam backing designed for diaphoretic clinical situations. 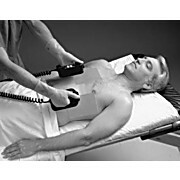 Patented solid gel penetrates the skin quickly allowing high quality. Low chloride content minimizes skin irritation. 30-day open bag freshness guarantee. Three-day wear time -- comfortable to wear, and may be worn up to three days. 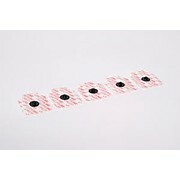 Convenient packaging -- 10 electrode strip. Foam backing. Two options -- available with stainless steel or radiolucent stud. 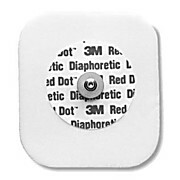 A tear-drop style monitoring electrode with clear plastic backing that is ideal for situations when immediate skin assessment is required without the need to remove the electrode. The gel's low chloride content minimizes skin irritation for increased patient comfort. 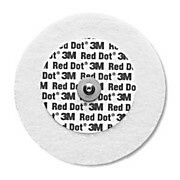 Pre-cut, hypoallergenic discs that are ideal for securing 3M Littmann® stethoscope chestpieces. 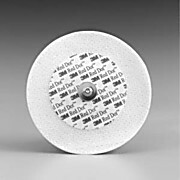 The discs have an 11/32" aperture and a 1 1/4" diameter.